These Traditional Photo Frames have been designed with accurate precision and is used while framing pictures inside frames. 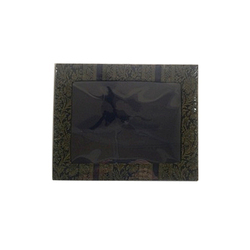 Since we have established our base in this highly competitive industry, we are readily engrossed in the arena of presenting Traditional Brown Photo Frame. 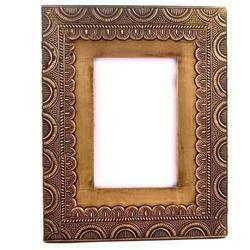 Our traditional photo frames are solid, single colour, usually a brown that shows age, sometimes with a contrast stitch. The emphasis in these is on heirloom looks and one that emphasises the photograph. We offer good quality traditional design pearl photo frame to our customers. This marquetry design depicts Lady playing Traditional Frame-Drum. It is inspired by the 6th Century AD paintings in the Ajanta cave in Maharasthra.